Lauren + Sasha — Rook Design Co.
Lauren and her partner Sasha wanted an intimate affair in New York City. Their family only wedding took place at the Women's Pavillion in Central Park. 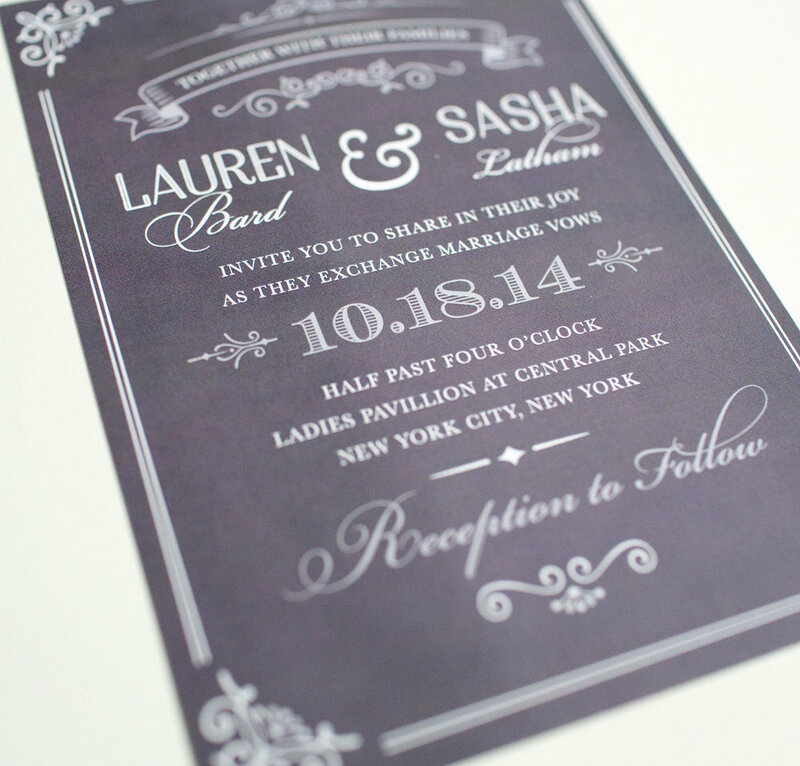 They asked for a classic slightly "New York" vibe for their wedding invitations. As the guests were aware of the wedding, there was no need for an RSVP or details card. To add a little flair, I used a marbled envelope liner to set off the purple-greyish color palatte.